The South Texas Youth Soccer Association (STYSA) is a Texas Not-for-Profit, 501c (3) Tax Exempt Corporation whose purposes are charitable, educational and athletic, as defined by the Texas Non-Profit Corporation Act. To be the recognized leader of youth soccer at all levels for our diverse membership. To provide preeminent soccer programs for all levels of participants that promote skill development, wellness, sportsmanship, and fun. 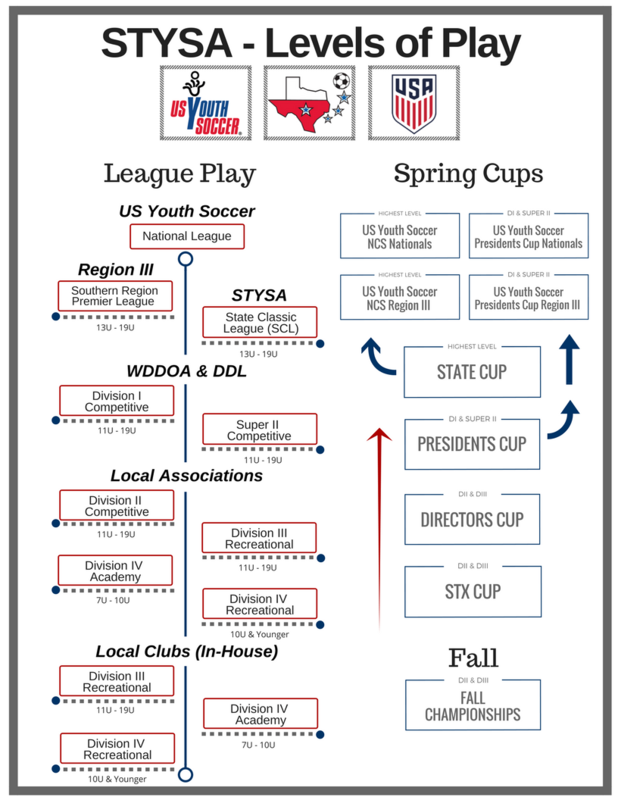 STYSA is comprised of 29 Member Associations, involving a large volunteer base of coaches and program administrators. STYSA is governed by a volunteer Executive Committee elected by a Governing Board that is made up of representatives from the 29 Member Associations. STYSA includes the geographic area of Texas stretching from El Paso in the west across the state through Lufkin and across to the Sabine River in the east and from Temple in the central area of the state to Brownsville in the south. STYSA has offered quality soccer programs for youth age 4 through 18 since 1964. STYSA currently has a player registration base of 102,000 and adult registration base of over 10,000. STYSA maintains a State Office in Manor with a professional full-time staff.